Our expertise in this sector is largely attributed to the innovative and wide range of products which comes along with the assurance of Prions quality. Swine, Aqua and poultry are the most interesting types of animals when it comes to adding enzymes to feed because their digestive systems do not produce enzymes capable of breaking down plant cell walls. The digestive tract has to break down the feed into a form that the animals can absorb and utilize. This way, the nutritional value inherent in the feed becomes accessible to the animal. 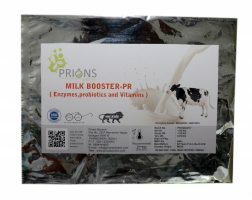 Adding enzymes from Prions helps improve this process so as to make the best possible use of the feed. Digitone-PR not only ameliorates the fat and protein content of milk but also increases the total milk yield. 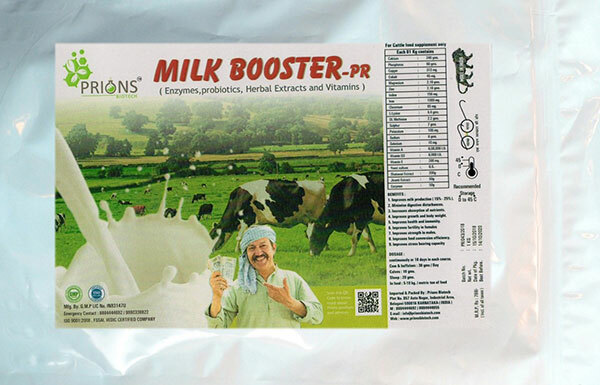 It positively impacts the quality of meat and aids increasing the net meat production. It confers the vital benefit of increased profitability to the farmers. BIO MINTRACE-PR is a chelated trace mineral that optimizes key production parameters above levels obtained by other chelated mineral sources, directly increasing customer profitability. 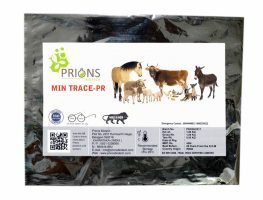 Only BIO MINTRACE -PR can improve your bottom line by increasing salable meat, decreasing mortality, improving feed efficiency and improving immune response. 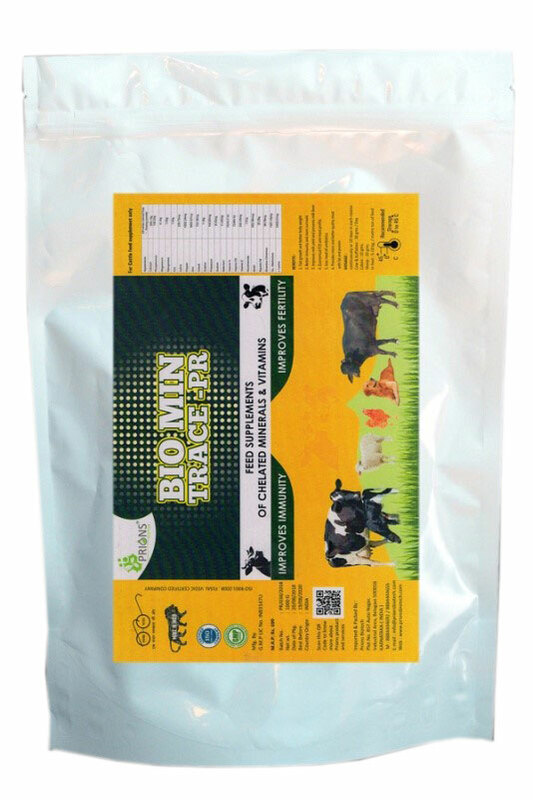 BIO MINTRACE-PR chelated trace minerals combine feed supplement with an essential trace mineral in a two-to-one chelated molecule. This protects the mineral from antagonists, allowing it to be more efficiently absorbed once reaching the small intestine. The result is greater bioavailability, digestive tract stability and a residual methionine effect that can reduce the required level of supplemental methionine per ton of feed. Vet Max (P)-PR increases the thickness of eggs and escalates the hatchibity of eggs. The overall fecundity of poultry animal is enhanced. This product cumulatively renders immense profit to the farmers. Vet Max (R)-PR not only ameliorates the fat and protein content of milk but also increases the total milk yield. It positively impacts the quality of meat and aids increasing the net meat production. It confers the vital benefit of increased profitability to the farmers. Probiotics, the new generation biotech drugs and dietary supplements developed from yeast or lactic acid bacteria (LAB), is emerging as a major opportunity in the domestic and international markets. We offer all the commercial strains, both individually in various strengths and in combination. Samples, Trial protocol and Data sheets are available upon request. MINTRACE-PR is a chelated trace mineral that optimizes key production parameters above levels obtained by other chelated mineral sources, directly increasing customer profitability. Only MINTRACE -PR can improve your bottom line by increasing salable meat, decreasing mortality, improving feed efficiency and improving immune response. MINTRACE-PR chelated trace minerals combine feed supplement with an essential trace mineral in a two-to-one chelated molecule. 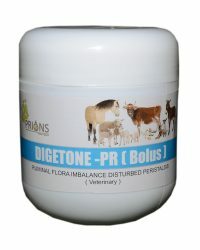 This protects the mineral from antagonists, allowing it to be more efficiently absorbed once reaching the small intestine. The result is greater bioavailability, digestive tract stability and a residual methionine effect that can reduce the required level of supplemental methionine per ton of feed.